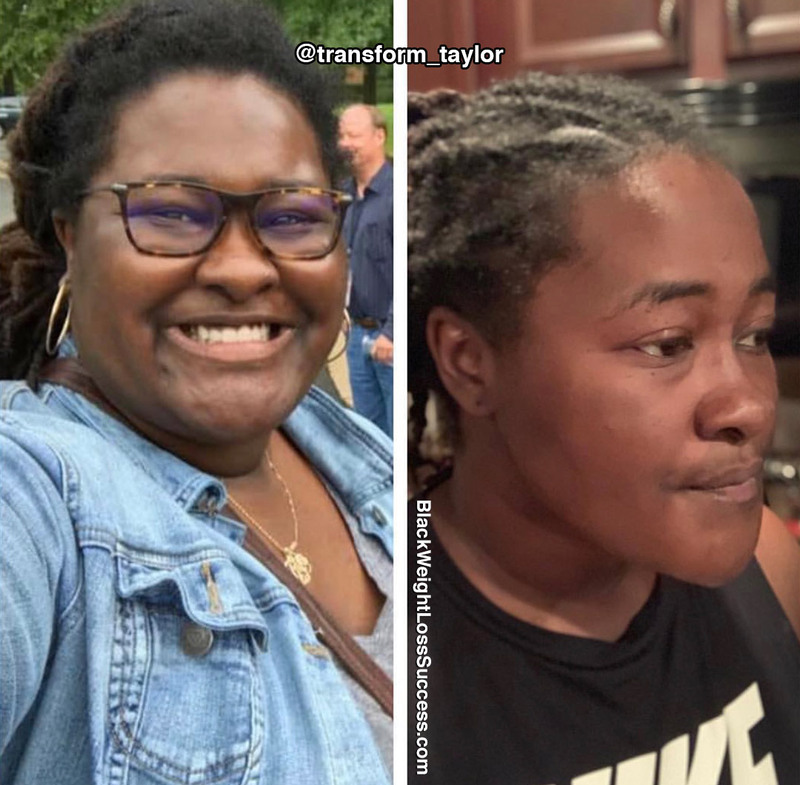 Update: I’ve lost another 25 lbs for a total of 76 pounds down naturally. 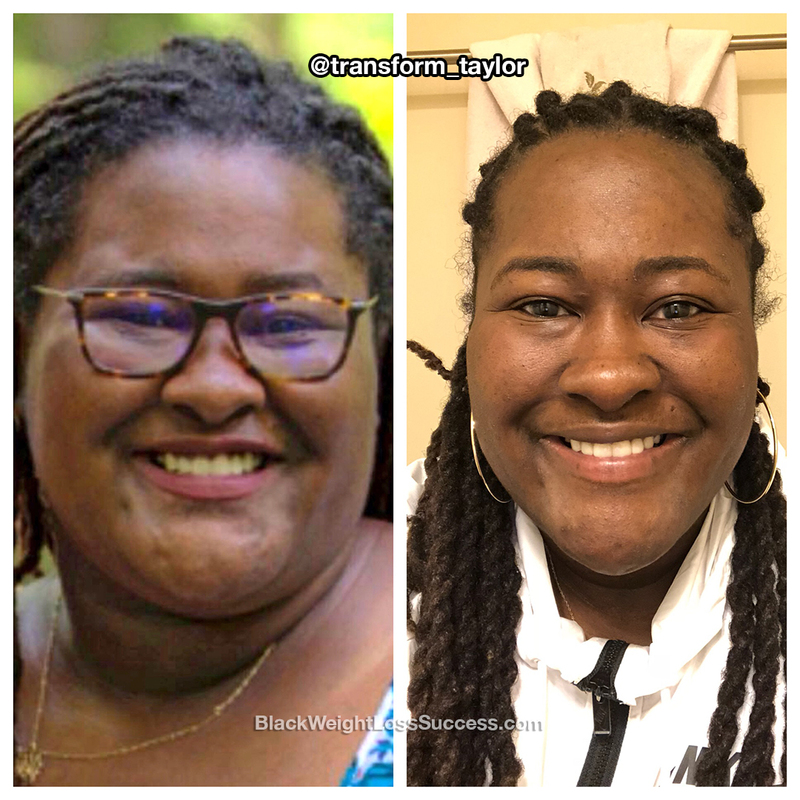 Recap My Journey: The Scale Read Overload For Me – On this exact day, Dec 7, 2018, I decided to change my life. I weighed 320lbs, the heaviest I’ve ever been. At the time, I was eating McDonald’s or Burger King for breakfast, lunch, and dinner almost every day. I never worked out or did any type of physical activity. I ate whatever I wanted and didn’t care about the crap I put in my body. That horrible feeling I felt after eating greasy fried food is what made me finally make the lifestyle change. My journey has had its ups and downs. In the past, I’ve had times when I’d only eat ice cream and Five Guys for like 2 weeks! I don’t feel bad about it though because it’s just one part of my journey. You’ll have times where all you want is cookies, cake, and ice cream. Go ahead, let yourself have those things because depriving yourself only makes matters worse in my opinion. How did I lose 76lbs? I stopped eating McDonald’s and Burger King every day. I started grabbing fruit and veggies instead of candy bars and fries. I started working out at the gym and at home. Keyword: STARTED. 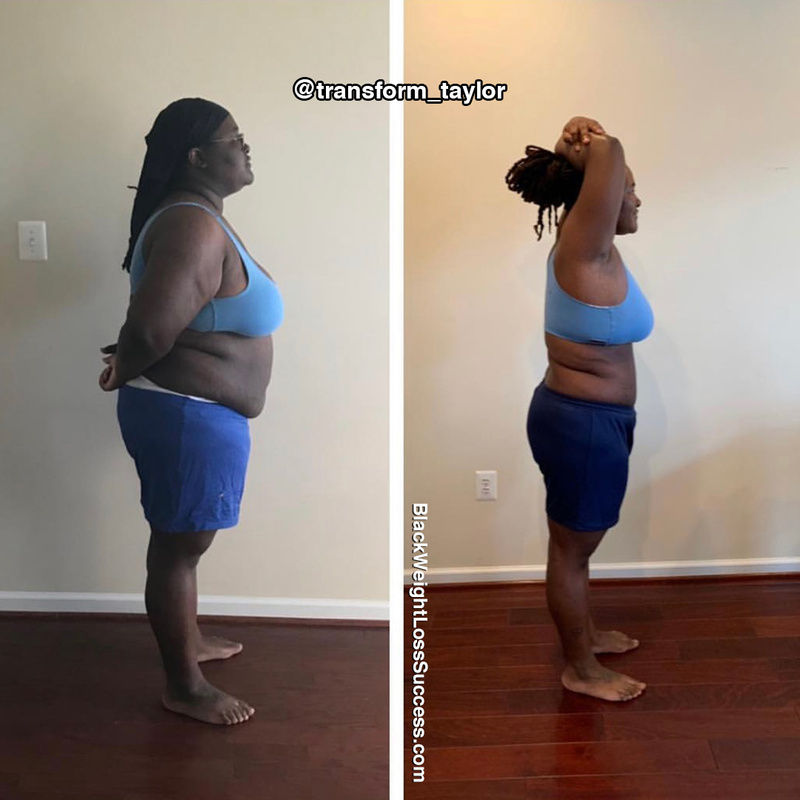 Transformation of the Day: Taylor lost 51 pounds. She credits 80% of her success to healthy eating habits and 20% to exercise. She kicked her junk food habit and at a lot more whole, nutrient rich food. Along the way, she learned that you really have to be mentally prepared for this journey. Check out her story. One day I was scrolling through my Facebook profile trying to find a photo to send to my friend. I saw my most recent photo and did not recognize that person. I didn’t realize that I put so much weight on. What inspired me when I wanted to give up was that feeling I had after losing my first 20 pounds. I felt amazing and I wanted to keep on feeling amazing, so kept going with my journey. On January 1st, 2018, I began what’s known as a Whole30 diet. Whole30 is basically a total reset and cleanse on your body. With this diet, you can gain a better understanding of how and what you eat affects your body. For 30 days, you cut out sugar (in all forms), grains, alcohol, dairy, legumes and anything fried. It’s been the hardest thing I’ve ever done, but I have been able to shred pounds. Since Jan 1, I’ve lost 14 pounds. The best part about losing this weight this month is that losing weight isn’t even a goal of the day Whole30 program. Once I’m done with Whole30, I can introduce certain things back into my diet to see how they affect me or keep on living without those things. My skin has cleared up and I feel amazing since being on the Whole30 plan. My routine consists of cardio (plyometrics) and a bit of weight training. I do a lot of functional exercises versus using machines at the gym. I only workout 2-3 per week! I stated my journey Oct 7th 2017. The biggest lesson I’ve learned is to emit only positive energy and it shall be returned! I’ve learned to love myself and not beat myself up if I don’t make a goal. At the beginning of my journey, I always told myself to do my best and not worry about what I didn’t get done that day or tell myself I could have pushed harder. I did what my body allowed and I listened to it. I didn’t push it to the breaking point. I’ve learned to listen to and love this body that God has given me. I do push myself to do more when I feel that I can. My advice would be to get your mind right first. Get yourself mentally prepared to change your life so that you can stick with it. This is a lifestyle change. You are literally fighting for your life! This process is hard and you have to be mentally tuff before you start picking up weights or trying to run a mile. I still struggle with wanting to work out and go to the gym, but all I have to do and pull out my phone and look at where I used to be… and then I start running to get in my car and head to the gym. To be honest, I only credit 20% of my success to working out. The 80% is credited to just changing my eating habits. 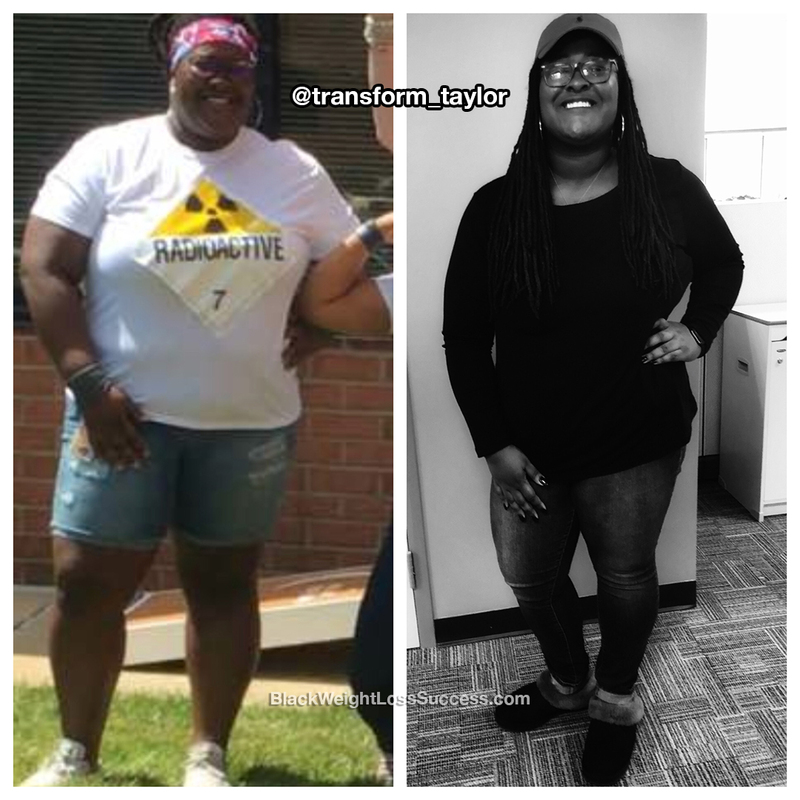 I stopped eating nasty/greasy, fried, fast food everyday and started dropping pounds. You can lose weight by just eating a salad or just eating some fruit instead. Great job you look good. Thank you for sharing your story..